Happy Holidays friends! 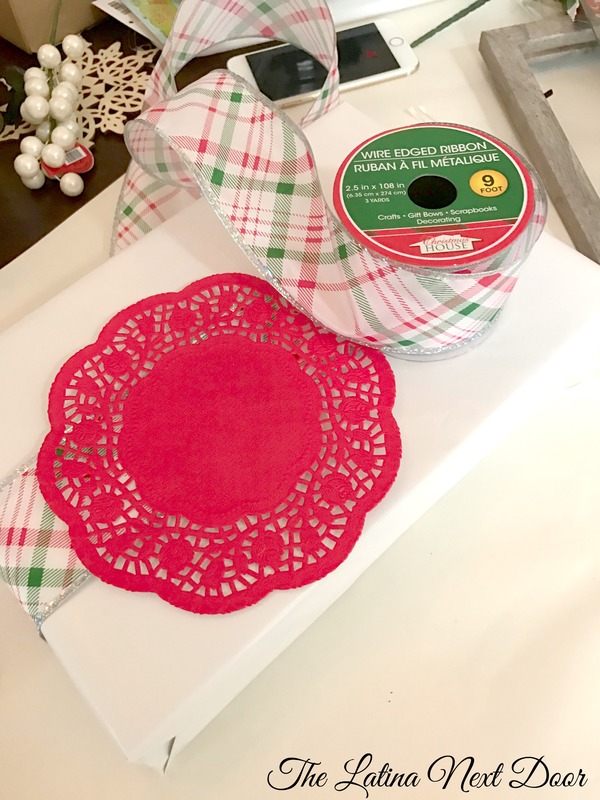 In continuing with our Christmas DIY projects, I wanted to share 3 gift wrapping ideas for Christmas that not only are different but give more than just the gift inside. So let’s get to it! One of the reasons I loved this one so much is because I only spent $1 on the gift wrapping paper and $1 on the Christmas pick (50% off at Hobby Lobby). I had the ribbon lying around the craft room leftover from another project. And the pretty Christmas tree was finger-painted by my lovely 4 year old daughter. My kids love getting involved in my DIY projects, just like they did for my Halloween Tree so I thought it would be nice to get her involved with this one as well. 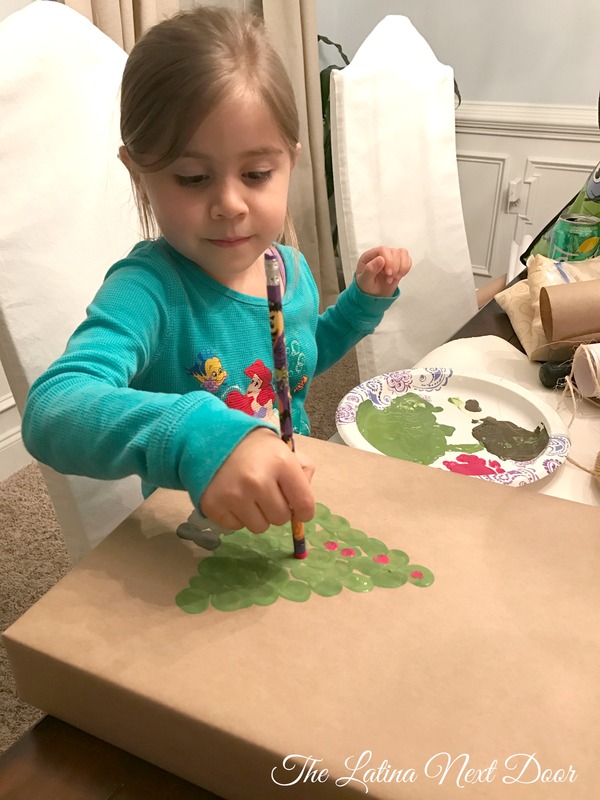 She loves to paint and what better way to show off her skills than by having her create her very own Christmas tree. This is pretty thick paper, but I still taped an extra piece of paper on the gift box underneath the wrapping to make sure it prevented any bleeding from the paint to go through and damage the actual box. For the paint, I used regular acrylic paint that I had on hand already. 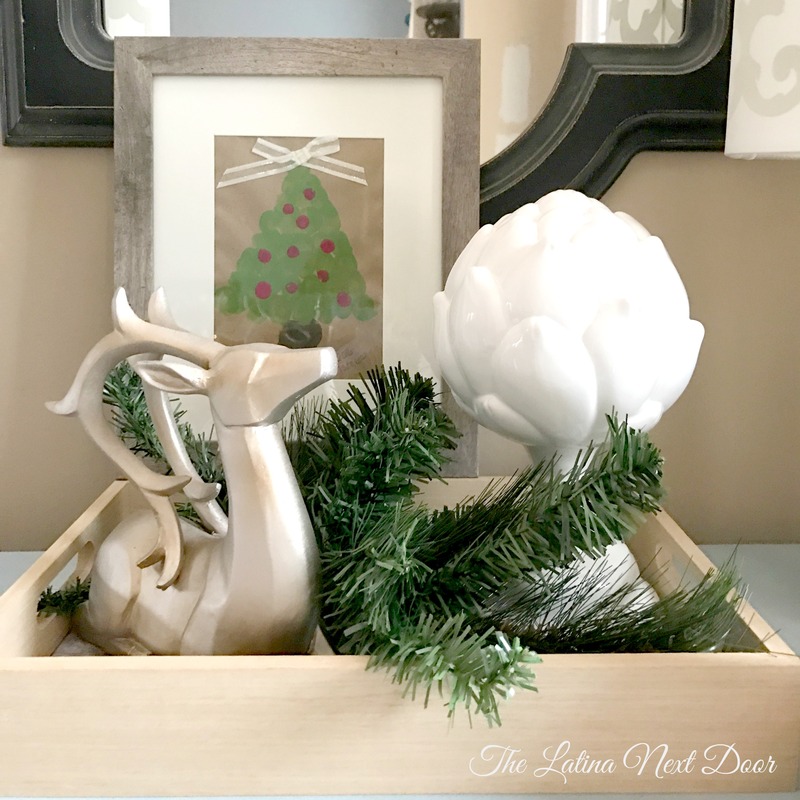 We used the flat tip of a regular pencil dipped in magenta hued paint to add the look of ornaments. Then I added ribbon that I secured with double-sided tape. 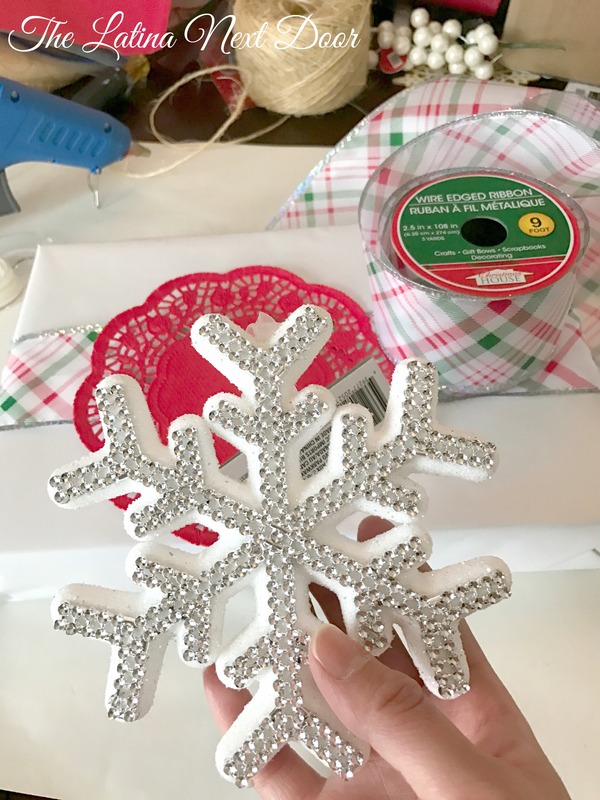 Then added a Christmas floral pick and cut a piece of the same gift wrap paper with some fun edge scissors and used a hole punch to create a name tag. So after spending some quality time with my baby girl, the second best thing this gift wrap idea gives you is an actual piece of art to use. 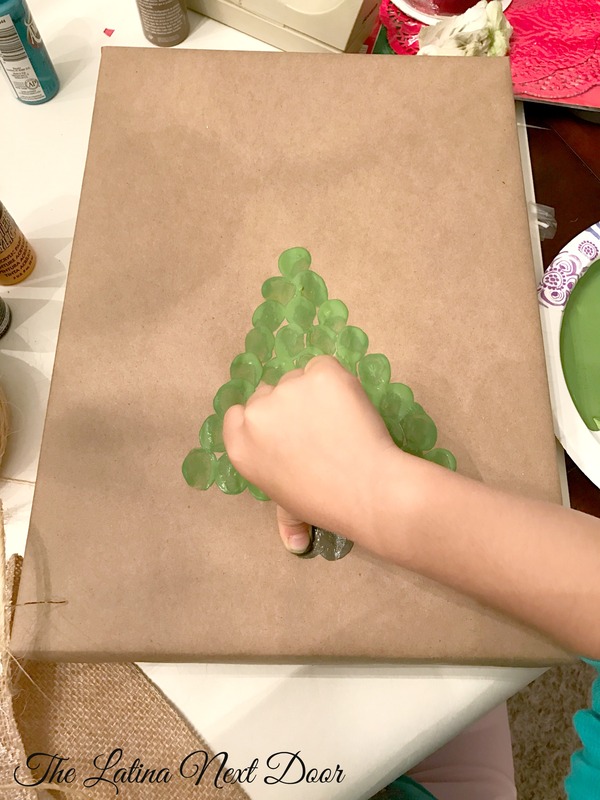 We made another tree for this post, but once you give the gift, the person receiving it can cut the tree out, write the name of the child and year the gift was given and frame it like the one below! Recognize that ribbon I added as a tree topper? It was leftover from my DIY Christmas ornaments. 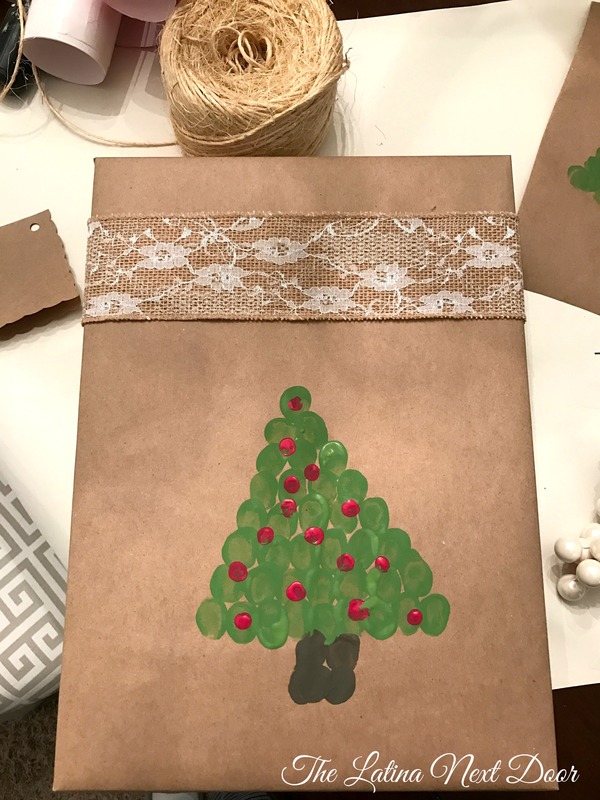 The possibilities are endless since you can paint snowmen, snowflakes, wreaths and even reindeer on the wrapping paper and have unique Christmas art for years to come! The second idea is a much simpler one, but is a show stopper! Each of these cost $1 so I only spent $4 on this gift wrap with leftover supplies for more presents. I got all the supplies at Dollar Tree… don’t you just love that store? 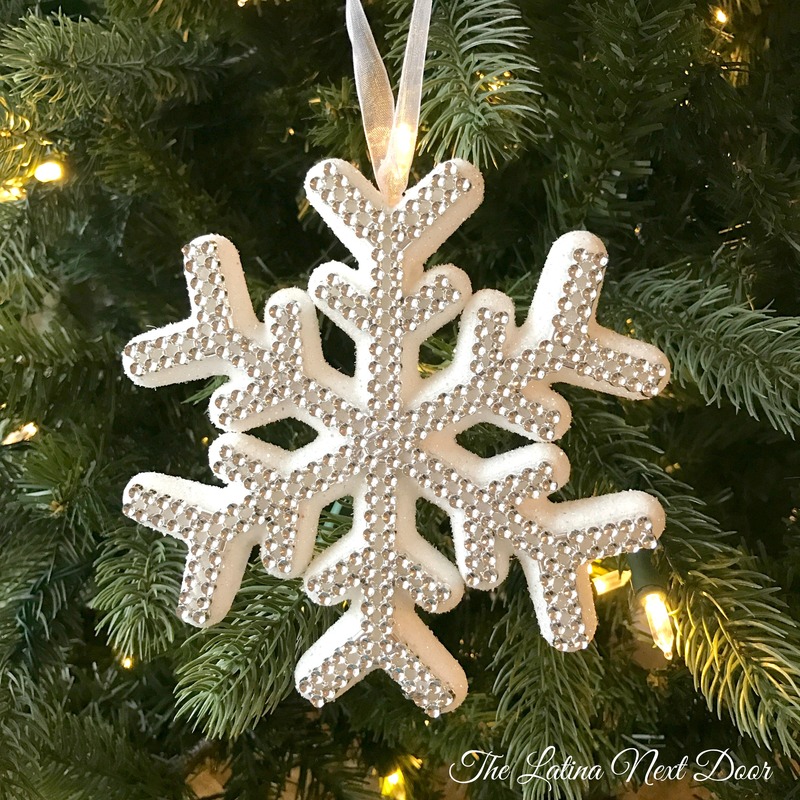 I picked this large white studded snowflake for my ornament. 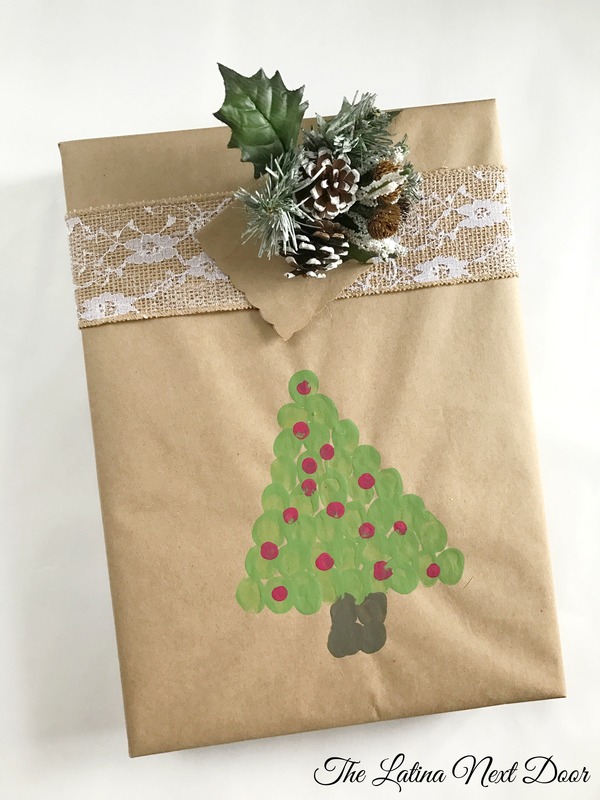 After you wrap your gift, embellish it with ribbon. Then add the doily and finally the ornament on top! I used the same method from the previous gift wrap to make my name tag. And viola! Another gorgeous gift wrapping with an added bonus, an ornament. Then lastly, I thought I would do a combination of both ideas. I wanted to get an ornament for the person receiving the gift, but also allow them the opportunity to personalize it for their decor. I thought the perfect thing would be an unfinished wooden ornament. I kept the gift wrap simple for this one. 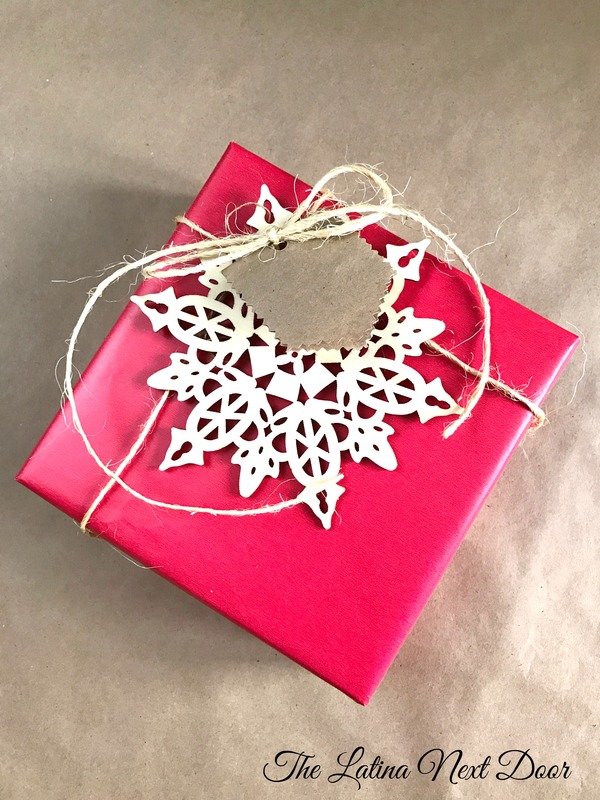 Once I wrapped the gift, I added twine and tied the unfinished wooden snowflake onto it with a simple bow. 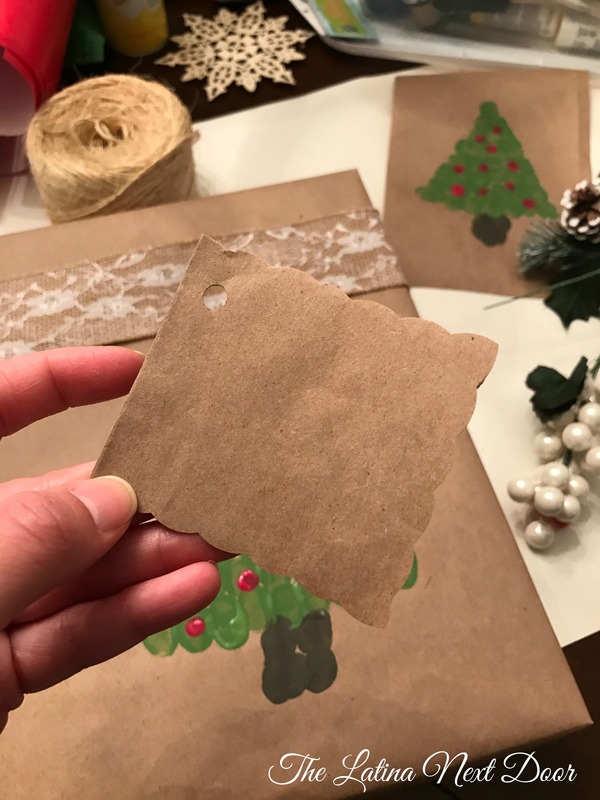 I chose to make a name tag from the brown wrapping paper to give a little contrast and to make it look even more rustic. 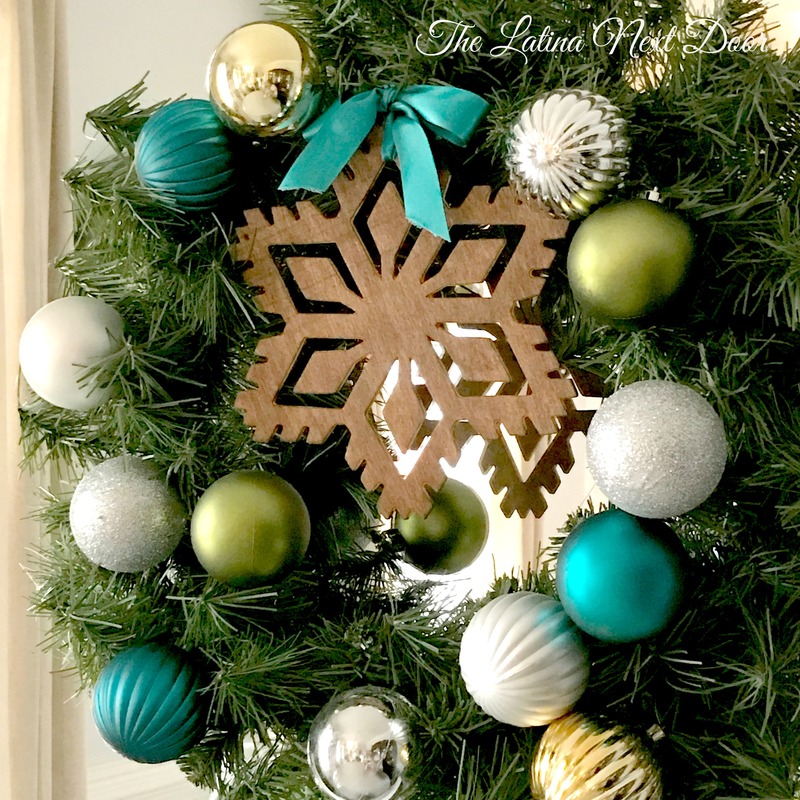 Then the person who receives the gift can paint the snowflake or embellish it to match their Christmas decor. I have several of these wooden snowflakes and I prefer them stained. Check out this one that I stained for one of my wreaths. Well, that’s it for this post! 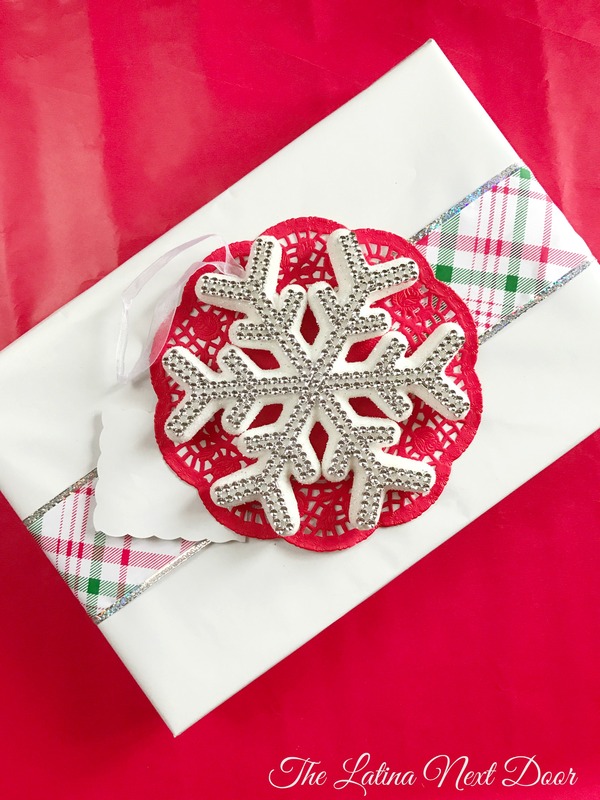 I hope you enjoyed these gift wrap ideas and I inspired you to do something a little different this year for your friends and family. These are really lovely. So nice that your daughter joins you in the celebration. 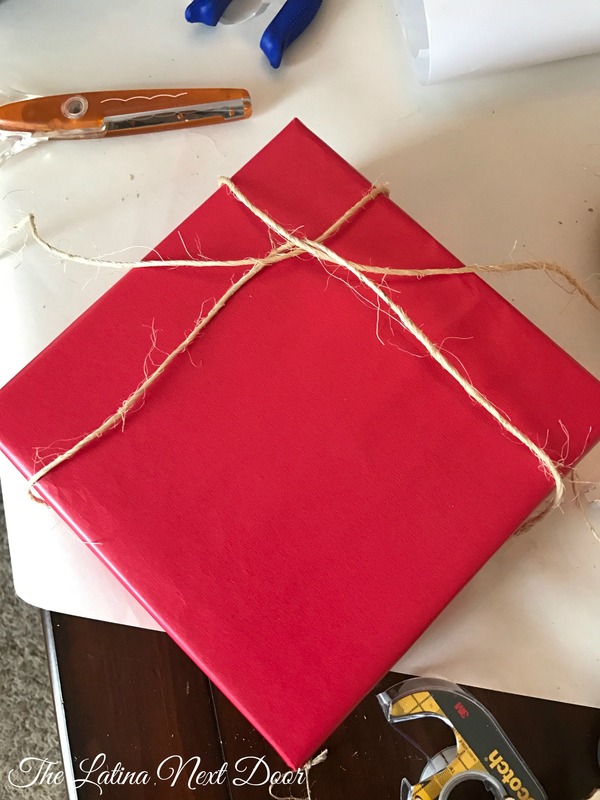 I am pinning this so I can refer to how you tied the burlap string on the present. I have never seen this before and I love it.